The Village Kirk is located in the Livingston Village area of the town and accessed from Kirk Lane. The church is near the Livingston Village Inn. 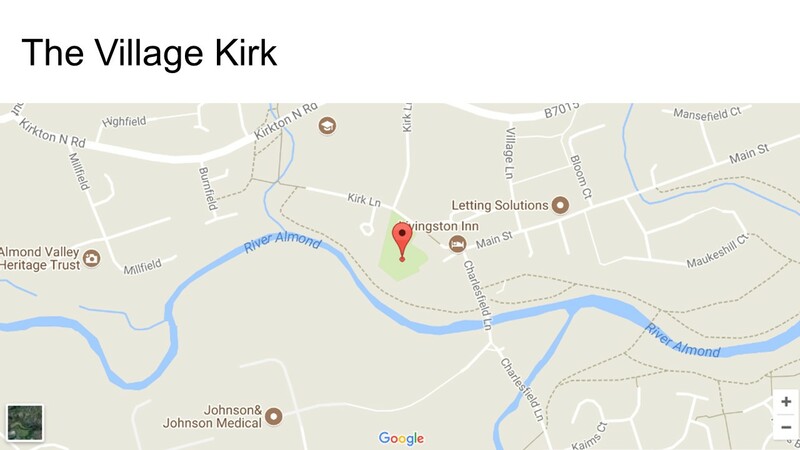 The address is: Kirk Lane, Livingston Village, EH54 7HY. On street car parking is available on Kirk Lane. Our Sunday Service here starts at 9:45am. Click on the location map above if you would like to view it at a larger size. St Andrew’s is located on Main Street in the heart of the Deans area of the town. The church is near the Livingston Station Community Centre. 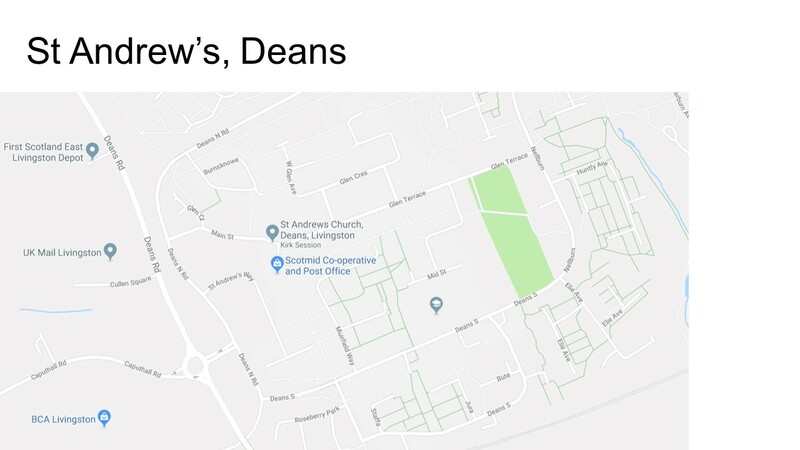 The address is: 4A Main Street, Deans, Livingston, EH54 8BE. 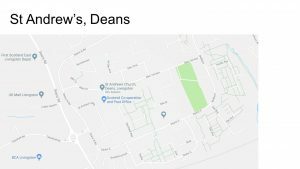 Car parking is available in the public car park just off Main Street between St Andrew’s and the Community Centre. Everyone is most welcome at both our worship centres. 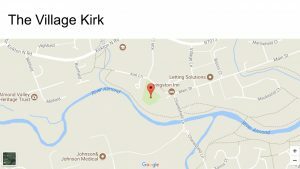 However, visitors with a disability may like to know that the Village Kirk is accessed from Kirk Lane via a short, steep path. Both St Andrew’s and the Village Kirk have a hearing loop system and large print hymn books and service sheets are available.